You are our heart & soul! Volunteers play a vital role in the success of our event weekend – help us make Pedal the Cause 2018 our best event yet! 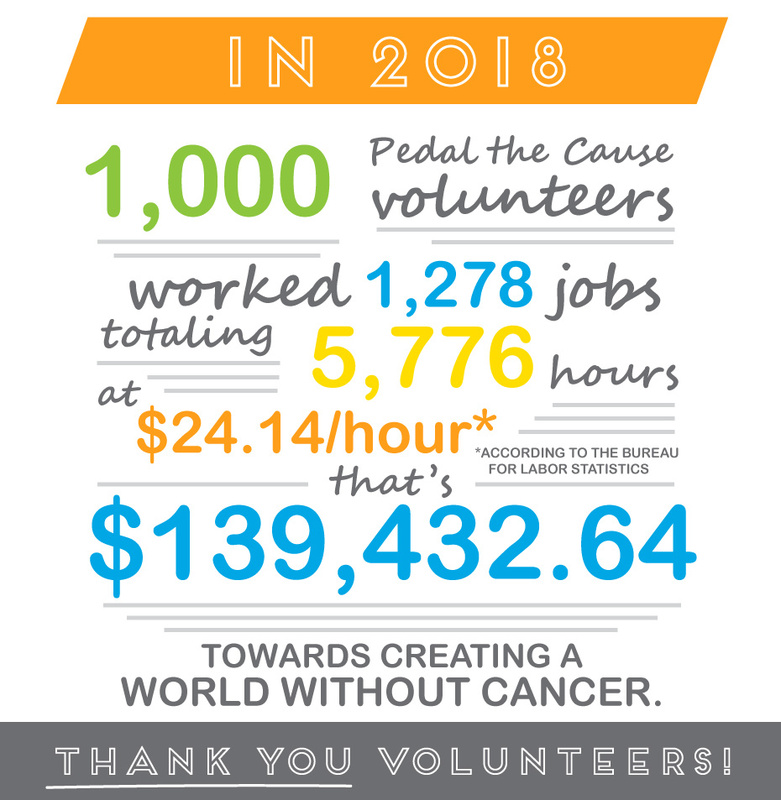 Volunteering is a great opportunity for service groups and individuals who want to contribute to their community and help create a world without cancer through Pedal the Cause. Click below to learn more about our volunteer opportunities and consider joining the Pedal family this year. We kindly ask that volunteers be 13+ years of age.